Dwelling in Communities throughout the Southeastern Counties of Virginia, and surrounding the Nottoway River into the Tidewater area are the present day generation of the "People of the Longhouse...."
Submitted a petition for State Tribal Recognition to the Virginia Council on Indians (VCI) in October 2006. Chief Lynette Allston and Asst. 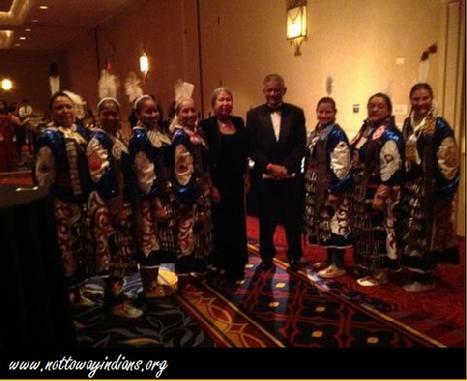 Chief Archie Elliott share a moment in time with the Military Color Guard at the Inaugural Ball Ais. (All Military Ladies Honor Guard). 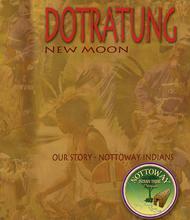 Nottoway Indian Tribe New Book Releases! 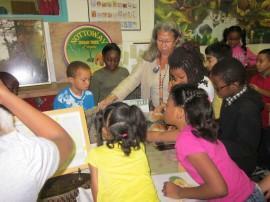 Would you like to support the Nottoway Indian Tribe of Virginia, Inc.? Read more information on how you can own your copy of this Book, while supporting the Virginia Nottoway Indian Circle and Square Foundation,IRS 501(c)(3) . 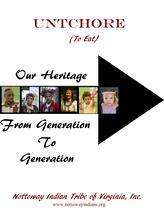 UNTCHORE, means, "To Eat" in the Nottoway language. Read more information on how you can own your copy! Proceeds from this cookbook help to support the Virginia Nottoway Indian Circle and Square Foundation. All contributions to this project are tax deductible.